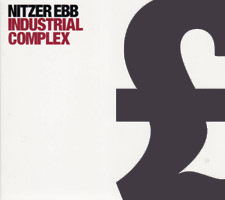 This new album is however Nitzer Ebb as we used to love them. Fast pulsating hardhitting rhythms and - believe it or not - something that sounds like catchy melodies as well. It still sounds like Nitzer Ebb of old, but it never sounds dated. The sound has been succesfully updated. The songs that immediately stand out are the uptempo tracks like Promises, Once You Say, Down On Your Knees, I Don't Know You, Kiss Kiss Bang Bang, probably because they don't sound too far from older Ebb tracks. In fact, most of the songs on this album are pretty good. A song like Traveling is very catchy and you'll even get a ballad Going Away that doesn't sound too far from a Depeche Mode track. This is easily their most commercial album ever and so what? 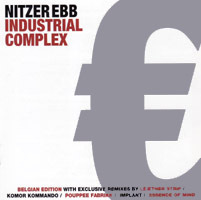 It's great stuff and I welcome Nitzer Ebb back on today's electronic scene! The 12 album songs are identical. whilst the UK edition holds 2 remixes of I Am Undone, 1 remix of My Door Is Open and then 6 remixes of Once You Say. None of the Once You Say remixes are identical, so you'll need both editions to get them all.